During public consultation for the development of the 2017-2020 IRC Skills Forecast and proposed Schedule of Work, and during the recent Safety in Equine Training project it became apparent that there are no specific units that describe the work undertaken by horse trainers to educate horses (i.e. the process that a person undertakes to ensure a horse is educated so that it is able to be safely ridden for either racing or recreational purposes). In addressing these skill needs, this project will identify and fill gaps in current qualifications, skill sets and units of competency from the ACM Animal Care and Management Training Package. Development of units that cover the work roles associated with the tasks of horse education will support a process for trainee horse educators to be taught the skills and knowledge in how to educate horses with the highest level of animal welfare standards, whilst also supporting the safety of the learners undertaking their training. Also being reviewed and developed as part of this project are skills around horse branding and identification, and horse transport. Subscribe to the Skills Impact newsletter to keep informed about project updates and opportunities to provide input and feedback. Make sure to select ‘Forestry and Timber’ as your industry of interest on the subscription form. This project will identify and fill gaps in current qualifications, skill sets and units of competency from the ACM Animal Care and Management Training Package to address skill needs for educating horses. A focus of the project will be to develop units of competency that provide recognisable training that fosters a safe environment for learners whilst ensuring the highest level of animal welfare standards for horses being educated. Also being reviewed and developed are skills around horse branding and identification, and horse transport. A key part of this project will be identifying the most suitable qualifications in which to include these units of competency and looking for opportunities to develop skill sets to encourage broad usage. This project is being carried out at the same time as Animal Incident Management Project. Scroll down to view the units that will be developed to cover gaps in job roles and skilled activities around horse education, horse branding and identification, and horse transport. Development of units of competency to support safe training when educating horses, identifying and branding horses, and transporting horses. These units will be added to existing qualification elective banks, and may also be used to develop a series of skill sets. Below is a list of skill sets and units proposed for development, and the units that may be impacted by this project. This project seeks to ensure that trainee horse educators are taught the skills and knowledge in how to educate horses with the highest level of animal welfare standards. The following skills and knowledge requirements have been identified, which may provide the basis of new units of competency. Development work on this project is underway. In November, the team held workshops with stakeholders and subject matter experts to identify job roles and current gaps in training for safely educating, transporting and identifying horses. The information gathered from these workshops determined that a number of already exist that address some of the skills required in these areas. It is therefore proposed to review these existing units and strengthen the aspects around understanding horse behaviour, creating horse education plans selecting appropriate methodologies and client liaison. Areas that are not covered at all in existing units (including educating horses to be driven, and for pack work) are proposed for development. ACMMIC401 Implant microchip in cats and dogs. Thank you to all those who provided feedback on the additional changes made to four new units of competency. 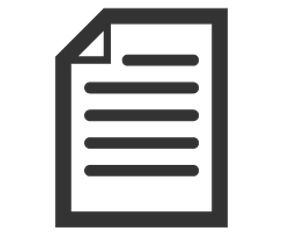 The documents were made available on this webpage for broad stakeholder review from 7 – 21 March 2019. To view the draft documents, including comments that were made on them from people using the feedback hub, please click on the document links below. They were revised based feedback that was received on the initial drafts, between 30 January – 4 March 2019. This feedback suggested a separate unit on basic or beginning education (groundwork). 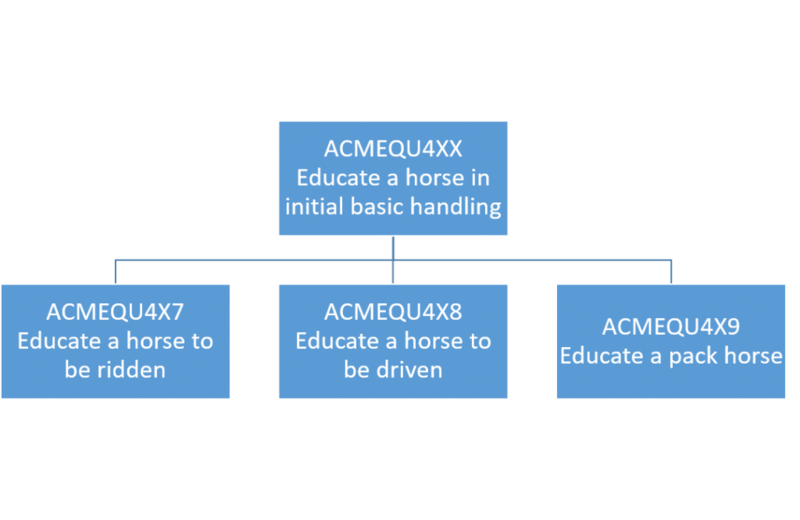 Stakeholders noted that Elements 1 and 2 were almost identical in ACMEQU4X7 Educate horses for riding, ACMEQU4X8 Educate horses for driving and ACMEQU4X9 Educate pack horses and suggested extracting these elements to create a separate unit based on this content. This would provide greater flexibility for training in the industry, allowing (for example) horse studs and those not wanting to carry out the whole education process to train what is relevant to them. Stakeholders also indicated that the revised unit should be a prerequisite for the riding, driving and pack horse units. The table below provides an overview of the key changes that have been made to units as a result of feedback from the national consultation workshops and the Skills Impact Feedback Hub. Please note minor wording edits/suggestions have not been listed below. Elements 3 and 4 developed further and consultation feedback incorporated. Chains of prerequisites can create barriers for learners and delivery issues. Government policy is to minimise prerequisites where possible. Thank you to all those who provided feedback on the draft units of competency and skill sets addressing educating horses. The drafts were made available on this webpage for broad stakeholder review from 30 January – 4 March 2019. To view the draft documents, including comments that were made on them from people using the feedback hub, please click on the expandable document menus below. Industry input was sought to determine whether the draft documents accurately reflect the skills required to educate horses, taking in to account the safety and welfare the horses, and people. Feedback on the draft documents was collected via the online feedback hub, face-to-face consultation workshops and webinars throughout February and early March. Face to face meetings and webinars were held with subject matter experts in November and December to identify who the key audience would be for the skills being addressed in these draft materials, and how to address the various level of skills required. Ongoing targeted consultation with subject matter experts has been undertaken throughout the development of the draft materials to assist with industry-specific language and content requirements. These new units have been developed to address gaps in skills required to safely educate horses for different purposes. One new unit has been developed specifically for skills around horse identification. These units have had minor updates to make them flexible enough to cover incidents involving large animals. One microchipping unit has been reviewed to strengthen performance evidence requirements. ACMPHR403 Evaluate methodologies and develop equine education and training programs Developed for individuals who have responsibility for overseeing or implementing education and training programs for horses, this unit is about reviewing, evaluating and selecting specific equine education and training methodologies and techniques to achieve stated objectives within welfare, workplace and safety requirements. Proposed change to title (was previously Evaluate equine training methodologies). Proposed prerequisite unit added. The following skill set is currently being developed for the RGR Racing and Breeding Training Package as part of the Retraining Horses & Greyhounds to New Environments Project. This skill set has also been listed here for review due to cross-over of content between the two training packages. Thank you to those who participated in the validation process for the final draft units of competency and skill sets for educating horses. The final drafts were available on this webpage for feedback and comment from 25 March – 7 April 2019. The units and skill sets have been revised to include greater flexibility for training in the industry. 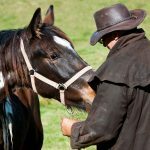 Skills and knowledge requirements for animal welfare have been improved, as well as the skills learners are required to develop to safely handle horses. The final draft units and qualifications that were available for industry validation are listed below. Prior to the Validation period, the draft units and skill sets were available on this webpage for broad stakeholder review, from 30 January – 4 March 2019, under the ‘Drafts Available’ stage menu above. Further feedback was sort from 7 March – 21 March 2019 for ACMEQU4X7 Educate horses for riding, ACMEQU4X8 Educate horses for driving and ACMEQU4X9 Educate pack horses along with new unit ACMEQU4XX Educate a horse in initial basic handling, all of which were developed as a result of feedback received during February – March 2019. During the Drafts Available phases, feedback was collected via the online feedback hub, at national face-to-face consultation workshops and webinars, and via phone calls and emails. The units were drafted with guidance from Subject Matter Experts, made up of workplace experts and industry. A description of how feedback has been considered and applied in these final drafts can be downloaded below. One unit relating to the microchipping of cats and dogs has been reviewed alongside this project. It can be found under the “Revised Units” expandable menu below. Thank you to those that provided feedback on this unit. Industry consultation and feedback has determined synergies between this project, the Retraining Horses & Greyhounds to New Environments Project and the Horse Breeding Skills Project. Anybody involved in the education of horses are encouraged to also review these projects, in particular the new units developed for transitioning and re-homing and the breeding qualifications. Feedback suggested a separate unit on basic or beginning education (groundwork). Stakeholders noted that Elements 1 and 2 were almost identical in ACMEQU4X7 Educate horses for riding, ACMEQU4X8 Educate horses for driving and ACMEQU4X9 Educate pack horses and suggested extracting these elements to create a separate unit based on this content. This would provide greater flexibility for training in the industry, allowing (for example) horse studs and those not wanting to carry out the whole education process to train what is relevant to them. Stakeholders also indicated that the revised unit should be a prerequisite for the riding, driving and pack horse units. These units have had minor updates to strengthen animal welfare skills.